EnergyPlus90 is a Passivhaus certified system, developed by Liniar and launched in 2017. A 90mm lead-free uPVC window and door system, EnergyPlus90 looks and acts as a 70mm system and is ideal for the commercial market. With triple benefits of Passive House thermal efficiency, PAS24 security and fantastic noise reduction capability (acoustic values as high as 42 decibels), EnergyPlus 90 UPVC windows and doors are available from Liniar fabricators all over the UK. Passivhaus compliant with laminate glazing included. U-Values as low as 0.7 W/m²K with triple glazing, quadruple glazed as low as 0.5 W/m²K and a Windows Energy Rating as high as A+40. Acoustic values as high as Rw (C;Ctr) = 42 (-2;-6). 9 chamber lead-free uPVC design. Featuring the patented Liniar bubble gasket and glazing flipper. Utilises standard Liniar chamfered and sculptured beads and glazing platforms. 48mm & 56mm triple glazing options. Weather tested in excess of BS6375 parts 1, 2 & 3 – the highest possible achieved. Suitable for use with heavy duty hinges and hardware. No steel reinforcement required (up to 1500mm transom/mullion). Sight lines, frame cover and clearances similar to EnergyPlus (looks and operates like a 70mm system). In 2015, the UK Government announced major plans to build 200,000 starter homes by 2020 – with close to a million homes overall within the same period. These homes are likely to be built on brownfield land in urban areas, often near busy roads and rail lines. A study of roads in November 2016 showed that British roads are the most congested in Europe. In addition, the building of a new high speed rail network (HS2) combined with a proposed new third runway at the already busy London Heathrow Airport are anticipated to add to the already high noise levels in urban areas throughout the UK. Architects, developers and consumers are already asking for greater acoustic values in their window systems to help combat these increasing levels – but not at the expense of thermal efficiency or security. A full sized whole window was fully tested to the stringent security requirements of PAS24:2016 and passed with flying colours. This means the EnergyPlus90 window is also fully compliant with Part Q building regulations – critical for the commercial and new build sectors. 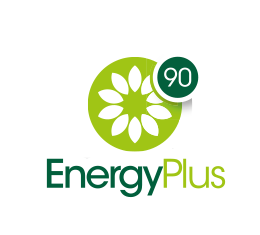 As a result, EnergyPlus90 has also achieved Secured by Design accreditation. 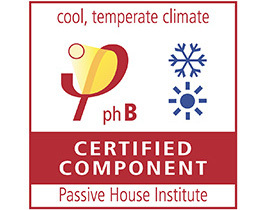 Why Choose Liniar PassivHaus Windows? EnergyPlus90 from Liniar now joins an elite band of window systems able to comply with the exacting PassivHaus standards. Many other systems feature messy and time-consuming foam-filled cavities to meet the requirements. EnergyPlus90 is unique in that its 9-chamber profile – 3 more chambers than Liniar EnergyPlus – has been designed to meet the triple challenges of thermal efficiency, noise reduction and security, achieving U-values as low as 0.5! Weather testing carried out on a full-sized EnergyPlus90 window has surpassed BS6375 requirements and achieved the highest results possible. With acoustic values as high as 42 decibels, EnergyPlus90 offers a unique proposition for commercial developers. Note that a standard Liniar double glazed unit achieves noise reduction of 33 decibels. Most uPVC window systems are limited to 40mm glazing options – however EnergyPlus90 offers triple glazing as standard, in a choice of 48mm or 56mm units. There are almost endless combinations of glazing available for EnergyPlus90, to suit every type of installation. Triple glazed units can incorporate Pilkingtons Optiphon or Saint Gobain Stadip Silence acoustic glass if high acoustic values are important to your customer. Early testing has resulted in Liniar EnergyPlus90 joining the ranks of a select few window products to claim Passive House certification. Triple glazed whole window U-values for argon-filled triple glazed units are as low as 0.7 W/m²K with Window Energy Ratings up to A+40, even with laminate included. EnergyPlus90 can be used with a 68mm composite door blank and featuring a thermally broken low threshold can achieve U-values as low as 0.89 W/m2K. EnergyPlus90 UPVC doors will be available in a range of styles, and will include composite entrance doors and French doors. 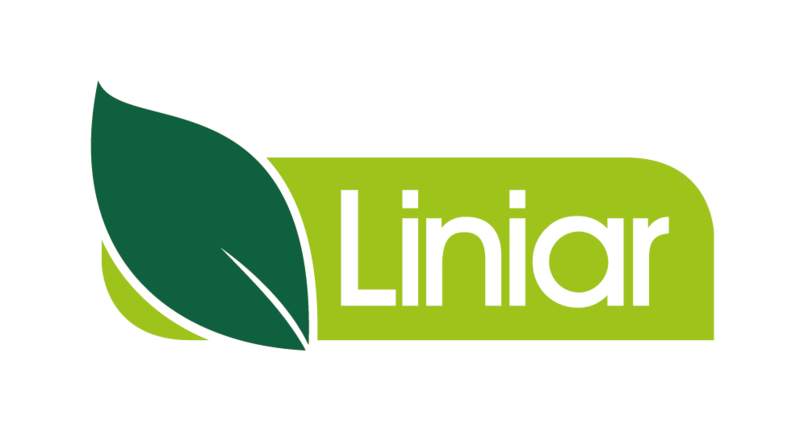 Find your nearest Liniar stockist here or contact us for more information.